My very first date with my soon-to-be hubby was at the Old Spaghetti Factory in Salt Lake City. It was there that I was introduced to the famous dish eaten by Homer while writing his epics ... you know, the Iliad and the Odyssey? Oh, you want the name of the dish? It's Spaghetti with Browned Butter and Mizithra Cheese. 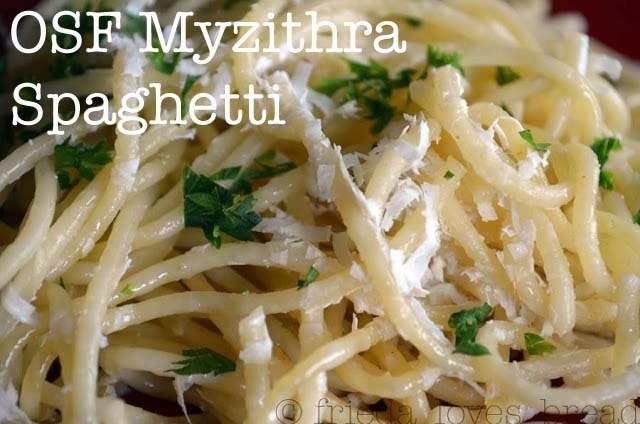 Myzithra (also written as "mizithra") is a Greek cheese that can be fresh (soft, like a cottage cheese) or hard, similar in texture to a Parmesan cheese. I found a small (quarter sized ball) of this cheese at Harmon's for $4. You can find it at a better price at WINCO. You may be able to find it at similar specialty shops and I've even heard that the Old Spaghetti Factory will sell you some of this cheese. Doesn't hurt to ask! It is a dish that will please even the youngest and pickiest eaters. You can also change it up by adding and of the following: sautéed mushrooms, bacon, lemon juice, spinach or pine nuts. What makes this dish extra special is browned butter. I have seen numerous recipes calling for browned butter, but I have never made it. 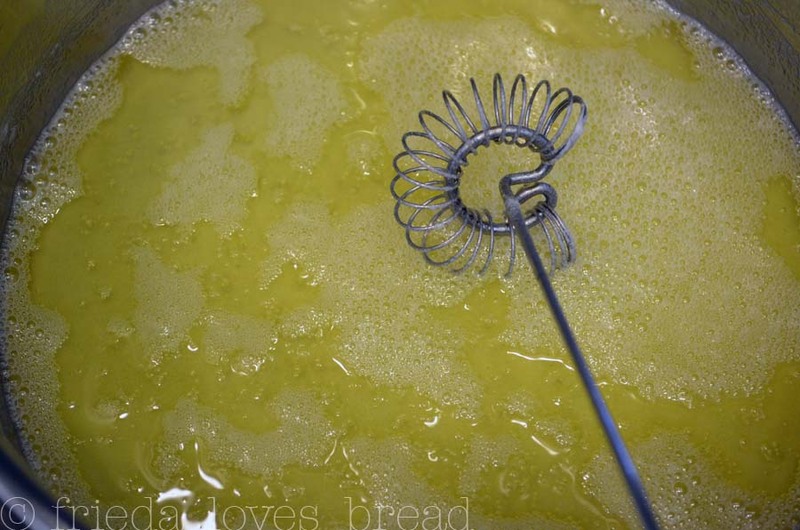 The process is similar to making clarified butter. You cook it further, until you reach a rich, brown stage that has a nutty, caramel taste. Browning butter is not difficult. You do need to stay, watch and stir the pot. I love my Pampered Chef sauce whisk! You can also find a similar one here on Amazon. 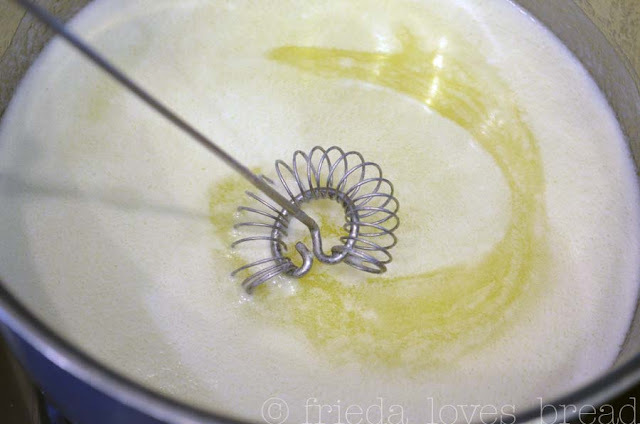 The flat whisk scraps the bottom of the pot perfectly and the round spring cleans the edges. Once the butter begins to boil, stir constantly to prevent residue from sticking to the bottom of the pan AND to keep the butter from foaming over the sides. 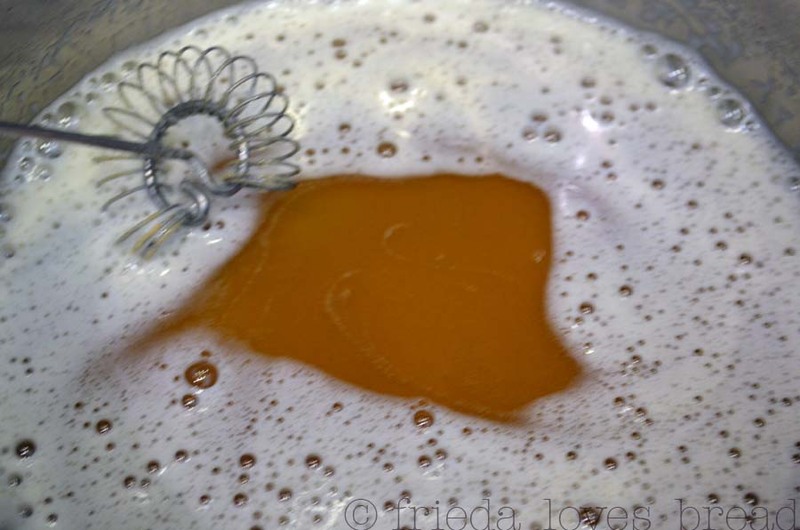 Once the butter stops foaming and rising (this is the clarified stage), cook till amber brown nut in color (1-2 minutes). It will soon have this fantastic, caramel aroma... Be careful to not let it burn! Remove the pan from the burner and let it cool for about 15 minutes. The residue will settle to the bottom of the pan. Pour the butter through a fine mesh strainer, cheesecloth, or coffee filter. 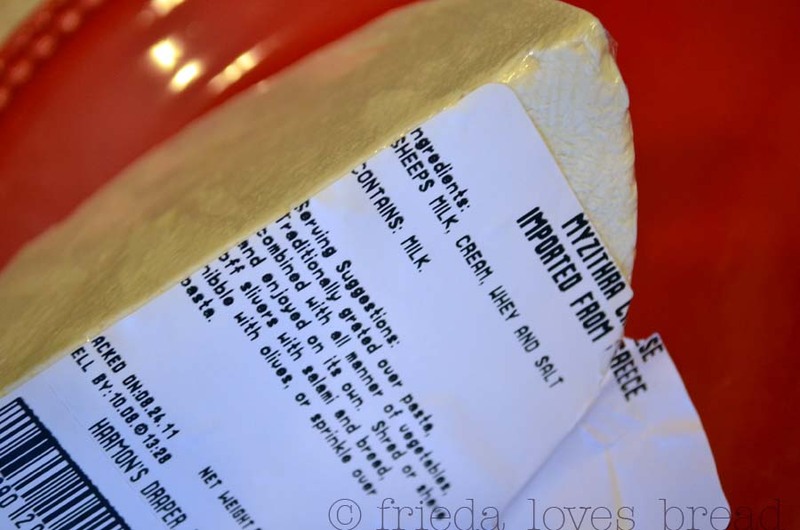 This process reduces the amount of salt, allowing you to add the salty Myzithra cheese to your dish. The browned butter can be stored in the fridge and reheated as necessary. I like to break off a piece and toss it into the pasta and let it melt. Boil the pasta of your choice. Drain and divide onto serving plates. Shred your cheese with a classic microplaner grater. You will get a LOT of cheese! Sprinkle 1/4 c. of Myzithra cheese over each serving. Top with up to 1/4 c. of hot browned butter. Sprinkle with fresh chopped parsley. Browned butter gives this popular pasta dish a buttery caramel flavor. Myzithra cheese is a traditional Greek whey cheese that has a sweet taste with a slight chew. Shred this cheese and keep it in your freezer for a fast, restaurant quality meal at home. 1. Fill a large, 6 quart saucepan with 4 quarts of water and set it on medium-high until it begins to boil.2. Put the pasta into the boiling water and bring it back to a boil, stirring the pasta. Reduce the temp if it is boiling too rapidly.3. Begin timing your pasta. Cook it according to package directions. I like to use 12 minutes.4. Test your pasta for al dente (firmness) as it nears the end of the cook time. Once you reach your desired texture, pour the pasta & water through a strainer or colander. Return the pasta to the pot and add a touch of butter or oil and stir, to keep pasta from sticking. Cover.Browned Butter Sauce1. 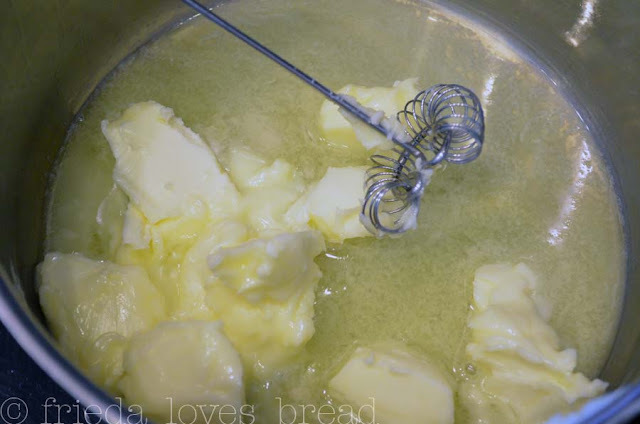 Cut butter into small pieces and place in a 2 quart saucepan, set over medium heat. Bring to a slow boil (about 5 minutes).2. Once at a boil, stir constantly. Butter will start to foam and rise, and stirring will help keep the foam down. Continue stirring and cooking, about 5 minutes.3. 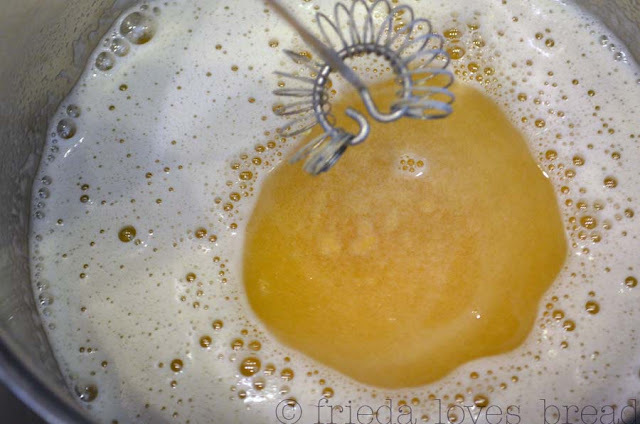 Once the butter stops foaming, cook until amber brown (about 2 minutes). It will smell like caramel. Be careful not to let it burn.4. Remove the saucepan from the burner. Let the milk solids settle to the bottom of the pan for a few minutes.OPTIONAL: Pour the browned butter through a coffee filter lined strainer, set over a bowl. 5. Toss desired amount of browned butter into the hot pasta. Top each serving with desired amount of shredded Myzithra cheese and parsley. Serve.Store any remaining butter in the fridge. You can break off a piece of the butter and stir it into your next pot of spaghetti until melted. Congratulations on your upcoming wedding! This spaghetti looks like something my husband would love - and me too! Thanks for the tutorial on browning butter. I tried to brown some today for the first time to add to cookie dough, and it didn't turn out quite like your picture. Next time it will be better. Thanks Frieda! Okay, that is seriously yummy! 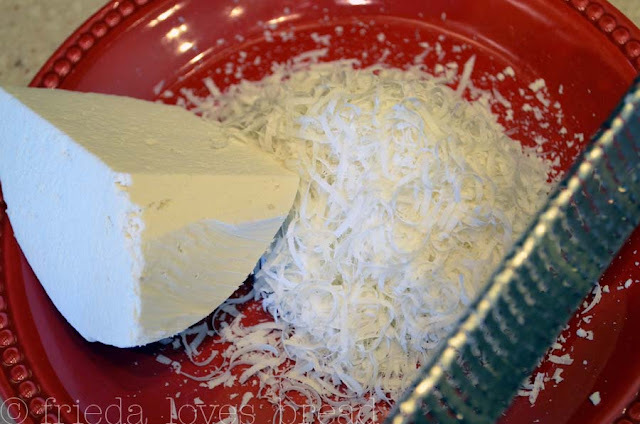 The cheese reminds me of Ricotta Salata - a hard salted ricotta....delicious! I bet everyone you ever make this for just loves it! @ Karen: Ooooh...browned butter for cookies...I can just imagine the caramelly flavor that they would have! Thanks for the idea! I'm sure you can use Ricotta Salata or any cheese you love with this dish ~ try it and see how you like it! This is my favorite pasta at the spaghetti Factory. I didn't think to brown the butter! That's what was missing. Thanks! That looks just fantastic. I remember the Old Spaghetti Factory. Thanks for sharing this great dish. 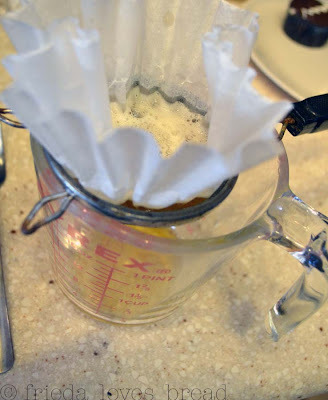 This may be a silly question, but Can you use the butter that is inside the coffee filter or only the butter that has been filtered? Not a silly question at all ~ the milk solids are captured in the coffee filter and they are very salty. I use the butter that has been filtered. 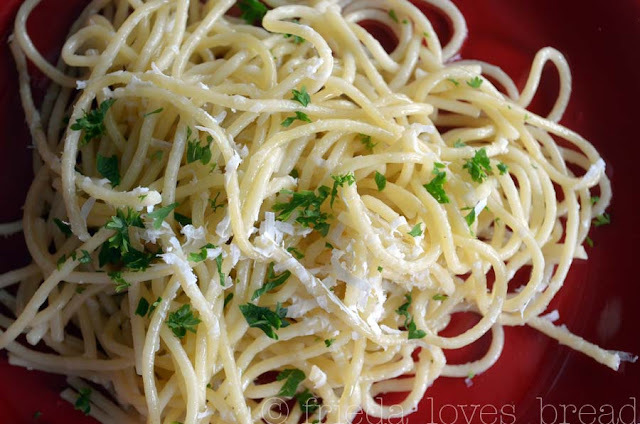 If you choose not to filter your butter, you may find that your spaghetti (along with the cheese) is super salty. It is sometimes hard to find Mizithra cheese in the store, and in my family we have substituted it with Kasseri for years. It is equally as good or better. It is my favorite when we go to the Spaghetti Factory too.